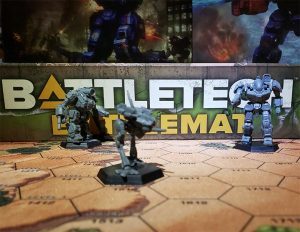 Technical Readout: 3025 was the first of the series providing game attributes, fluff, and background details for the BattleTech universe. 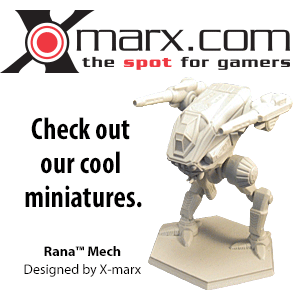 It has entries for 55 'Mechs, 15 aerospace fighters, 3 LAMs, 4 DropShips and 12 combat vehicles. The product was reissued and updated in 1996 as Technical Readout: 3025 Revised, which was replaced in 2009 by Technical Readout: 3039. Technical Readout: 3025 had several print runs with various changes incorporated at different times. The first edition was published in 1986 with a MSRP of $9.95. This edition had a number of minor typographic errors but more noticeably the pictures of the Ostscout and Ostsol are swapped. This error would continue well into the third printing. The third edition is identified by the notation "Third Printing; May, 1987" in the bottom right corner of the credits page. Early copies of the third printing are nearly identical to the first edition with the Ostscout and Ostsol pictures swapped and a MSRP of $9.95. Later copies compound the Ostscout/Ostsol confusion by simply swapping pages 29 and 79. Now the Ostscout illustration appears on page 29 with the game statistics of the Ostsol while the Ostsol illustration appears on page 79 accompanied by the game attributes of the Ostscout. These later versions of the third printing also feature an updated UPC with a MSRP of $12.00. The Ostscout and Ostsol were finally fixed in the July 1994 printing. This edition increased the price to $15.00 and fixed some of the typos of the previous printings. The "Repair Installation" entry states that there is no standard 'Mech repair facility, but gives a description of features and equipment that they all have in common. TRO:3025 set the standard for future TROs and was one of the better selling titles for (and gateway purchases into) BattleTech. Though not revealed until the 'Introduction' page of Technical Readout: 3025 Revised, this original edition was (in-universe) published by ComStar Publishing on 5 June 3025. ↑ Notation on the Catalyst Game Lab's Errata Forum Rules & Index - Regarding status of TRO: 3025. This page was last edited on 14 March 2018, at 20:03.